There are many different reasons to get a new garage door, however, if yours is exhibiting any of the signs we’re going to talk about today on the Garage Door Doctor blog, it’s likely that getting a new garage door for your Indianapolis home is going to be essential.The good new is, we don’t only offer our services in Indianapolis, so if you’re in Bargersville, Camby, Geist, and Mooresville, we can help you with all of your garage door needs. Keep reading to learn the signs you should be paying attention to that can alert you that it’s time for a new garage door. 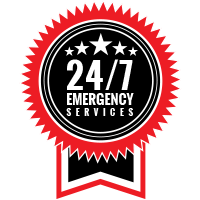 If you’re finding that your garage door is breaking down on a regular basis or it’s not opening or closing the way it was intended to, it may be time for a replacement. In addition to frequent breakdowns, loud noises are not only annoying to listen to, but they can also indicate that your door is no longer functioning correctly, and it may even be a sign of a safety hazard. If the problem goes beyond a simple repair by a professional, it may be time to opt for a new door instead of multiple service calls. In the same way that a new garage door can enhance the look of your property, an outdated door can drastically decrease the curb appeal of your home. Whether the design of your current door is simply old-fashioned or you have a door that has paint chipping or the wood is splitting, this is a sign that you need an updated garage door. 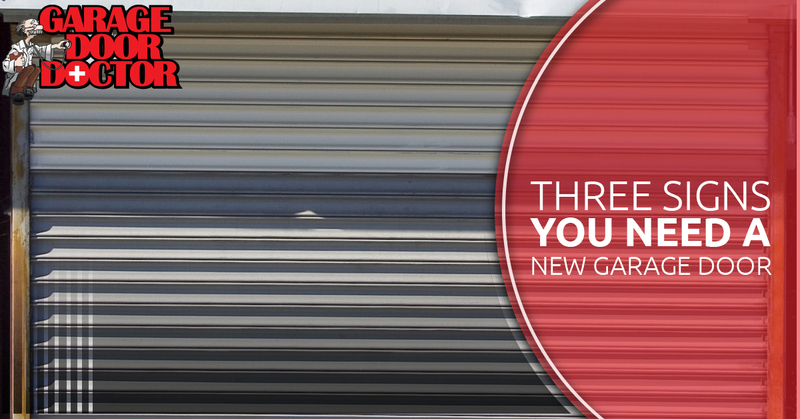 You can find all of the new, modern designs for garage doors when you shop with us. Whether you’re looking for a door that has raised panels, recessed panels, a carriage house overlay, or even accent planks, we have many of the most popular designs available for you to purchase for your home. Along with updated designs, newer garage doors have safety and efficiency features that older doors don’t have. Newer doors will provide you with standard features such as insulation, weather strips, bottom seals, and more. Newer doors also commonly have safety features, such as sensors, that reduce the likelihood of the door closing on someone or something that’s stuck under the door. Instead of simply tolerating your old garage door, maybe it’s time to think about upgrading to take advantage of all of the benefits that come with getting a new door. Garage doors are a heavy piece of machinery, and keeping an old, unsafe door can not only make using your current door frustrating, but it may increase the risk that something will go wrong with the door, which could potentially be harmful to a loved one. Don’t continue to put off getting a new garage door for your Indianapolis home. 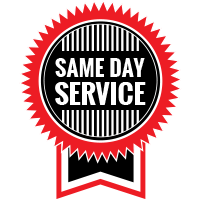 Call Garage Door Doctor today to learn more about upgrading your door. We look forward to hearing from you!